KBSS can access portable lathes which can pay for themselves on their first job. Whether it’s cutting O-ring grooves, repairing turbine spindles, or fixing an out-of-round gear seat area on the shaft of a high-speed production machine. 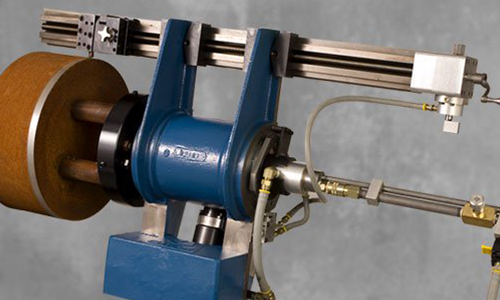 These portable lathes can pay for themselves on their first job whether it’s cutting O-ring grooves, repairing turbine spindles, or fixing an out-of-round gear seat area on the shaft of a high-speed production machine. Our lathes bolt on the end of a shaft to re-turn shafts, and roll journals from 1.5 inches to 24 inches (38 to 610 mm). Some models can work in areas as tight as 7 inches (177.8 mm) of radial clearance. Pneumatic power is standard, with optional electric power available on several models.